This is the first chapter of my novel, which won the grand prize in the 2015 Aspiring Authors Contest through WestBow Press, a division of Thomas Nelson and Zondervan Publishers. It is available here. Alterman says the words to the room of faces that have no idea what he’s talking about. The lights are out, the only illumination provided by the projector and the screen radiating light back on crags in their perplexed features. This is a standard speech he gives his clients - one of the better ones he carries around by his estimation. All for Shiloh Church at the Point, a modern, glass-and-steel temple feeding off three subdivisions of six-figure homes for its congregation. They wanted his expertise, and if they know him, they understand this is part of the package. They might as well sit back and enjoy it, because he is going to give them their money’s worth. Oh, how they are going to hate him for this one, once they hear it. Not as they are hearing now, but later on, during the drive home, when they’ll finally catch the nub of what he is saying. Alterman knows he has a voice that carries, not into the next room, but into the next hour. They’ll hear him long after he finishes talking, his words pitched at a tone just above the sepulchral. Alterman can see their faces darkening, even if he can’t clearly make out anything. The room is darkening, in mood. They did not expect a sermon. But if they didn’t expect a sermon, Alterman thinks to himself, they shouldn’t have come to a church. Alterman pauses here, just to let his next words sink in. As he speaks, he runs through a range of motions and gestures. He brings his left fist down into the open palm of his right hand like a tent revivalist. He rubs his thumb and index finger together as a croupier would at a Las Vegas table, asking one side to kindly pay up. He raises his hands over his head as would any stickup victim. He is all of these characters, but he is more focused on how the words sound, rolling off his tongue with elegant meter and precision. Alterman sees there are a few here starting to nod their heads. That may surprise his partner, but it doesn’t surprise him. Alterman expects a few of them to agree with what he’s saying. This, of course, proves too much for one of the faces he cannot make out. It is a man who speaks, finally, with the challenge Alterman expects. Ah, they always make it easy for him, don’t they? “I was getting to that…” Alterman begins. Now it’s time for Alterman to go into his wounded routine. The very idea of alleging that he isn’t doing his job now! Why, it’s insulting. And it isn’t that great an expense either. So Alterman takes out the report that he’s prepared. He does this very deliberately. Anyone watching probably thinks that he was planning on handing it out after his little talk, but now it appears he’s ditched that plan. It’s time to defend himself. He hands the pastor one, and then passes copies out among the people in the room. It’s thick - more than 400 pages easily. A lot of people probably didn’t expect anything more than his talk. He’s giving them enough data to occupy them for the rest of their lives. Then, Alterman eyes his partner in the back, and launches into his defense. The room is darkening even more now, because the words are recognized. A few of them probably remember what they said at the meetings, and still others remember what they heard. That was weeks and months ago, many, many offerings ago, and they had moved on to other acts of faith, Alterman figures. A few of them skeptically look at the report in their hands and likely conclude that if what’s inside resembles what they’re hearing, they may never open it. That seems to satisfy a few of them. Okay, so maybe he has a point. He doesn’t have a lot of tact, but he has a point, they’re probably saying to themselves. All but the pastor. He still looks uneasy. The pastor nods, a little unsure of what this means. There is silence. A few people shift in their chairs. A few chairs shift on the floor, sounding like the cries of captured beasts. “He left,” is the reply, from that voice in the back of the room. “No, that was done by committee,” comes another response, this time from someone who hasn’t spoken. This voice sounds as though it sees where Alterman is headed with his line of questioning, and is silently thrilled. Now both sides are suddenly at each other’s throats in the darkness, giving each other rehearsed, ancient arguments hardened in place. As Alterman says the words, there are a few people on staff who begin looking around to see if they can pick up any guilt in the darkness. Anyone with a wounded expression. Nothing. Just a sheepish smile on the face of the children’s director. All the eyes in the room now turn to the children’s director, the man everyone calls B.D. All of the staff pick up on it instantly. There’s something about him that looks cool, as though he expected Alterman to bring this up, but he’s got a foolproof defense. “Mr. Satva, is it? That’s your real name? That’s what you’d have these fine people believe?” Alterman demands. Satva doesn’t move a muscle. “What has he done?” the pastor asks, genuine horror in his voice. “What is it that happened?” the voice in the back demands. Satva gestures with his hands, as if to say, it’s all yours. The darkness in the room suddenly dissipates, like a bank of fog evaporating in the open sunlight. A few men laugh. A few breathe heavy sighs. As Satva stands up, his grin is now even broader. A few of the people clap, as if to say well done. At this, Satva begins unbuttoning his shirt. Satva is a man that is easily 50 pounds overweight, but he has all this time insisted on wearing an undersized shirt that seems to accentuate his girth. The buttons bulge from the too-tight front even as he removes it, to reveal padding beneath. He discards the padding to show a very fit and remarkably chiseled chest. He buttons the shirt. Then he reaches up to pull both of his eyebrows off, with much cleaner, thinner ones underneath. There is a gasp of recognition from the room just before Satva pulls off the thick glasses he wears, the false teeth that gave his voice a lisp, the wig he has worn for the last three months. In the space of less than two minutes, B.D. Satva has revealed himself to be Steve Templeton, the deposed former pastor, now remarkably thin and back to pay a visit. There is an outraged silence in the room, the silence of people who realize they are being judged - most mercilessly, by themselves. Templeton, now revealed, walks to the door behind Alterman. He has a feeling they may need to leave immediately, but he is having too much fun watching all this. The tension of the last three months has proved worthwhile, if just for this moment. He couldn’t believe it when Alterman told him they had been hired by his old church. Surely they knew where Templeton was these days? But they didn’t. The idea that they didn’t care offended him, and Alterman had seen that. In the space of about 10 seconds, that was all the time Alterman needed to hatch this latest and greatest audit of his career. Alterman gives Templeton an eye, pauses, and forges on. Alterman’s voice now is low and threatening, and Templeton has given enough sermons to know this is the tone a pastor adopts when he is about to issue the invitation to salvation. This is the business voice, not the one designed to wake up the deacon in the back who stayed up too late the night before watching football. This is the pin-drop voice. Alterman is finished. He nods as if to thank the stunned people in the room, and turns to leave. He gives Templeton a loving pat on the shoulder as they move toward the door. A few of Alterman’s thick reports have dropped to the floor from incredulous hands. Alterman turns to the voice, with a smile on his face. “This is big,” he said, ignoring Templeton and reassuring him at the same time. Alterman makes a mental note – he must send out the bill for this job tomorrow. He wonders if it will be paid. 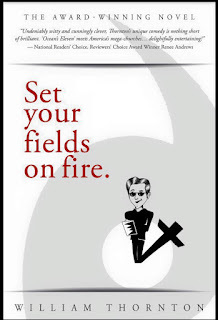 You can order "Set Your Fields on Fire"for $14.99 through Amazon here and Books-A-Million here. It's also available on Kindle at $3.99 through Amazon here. Read an interview I did with AL.com on the book here. Here's my appearance on the Charisma Network's CPOP Podcast. Here's an interview I did with The Anniston Star on the book. Shattered Magazine wrote a story about the book here. The Alabama Baptist wrote about the book here. This piece appeared in the Marietta (Ga.) Daily Journal. Here's the write-up from The Birmingham Times. Read a story for Village Living here. This story appeared in The Trussville Tribune and this video. Story and video from WBRC Fox6 here. Here's the write-up in The Gadsden Times on the book. Read a piece I wrote for WestBow Press about writing the book here. This is another interview with the fleegan book blog here. Brilliant Disguises is maintained by William Thornton, a writer who works as a reporter at an Alabama newspaper. I am a deacon in a Southern Baptist Church and teach a Sunday School class. I am the author of "The Uncanny Valley" and "Brilliant Disguises." I'm a reporter with the Birmingham (Ala.) News and the Alabama Media Group. You can read my reporting at al.com. 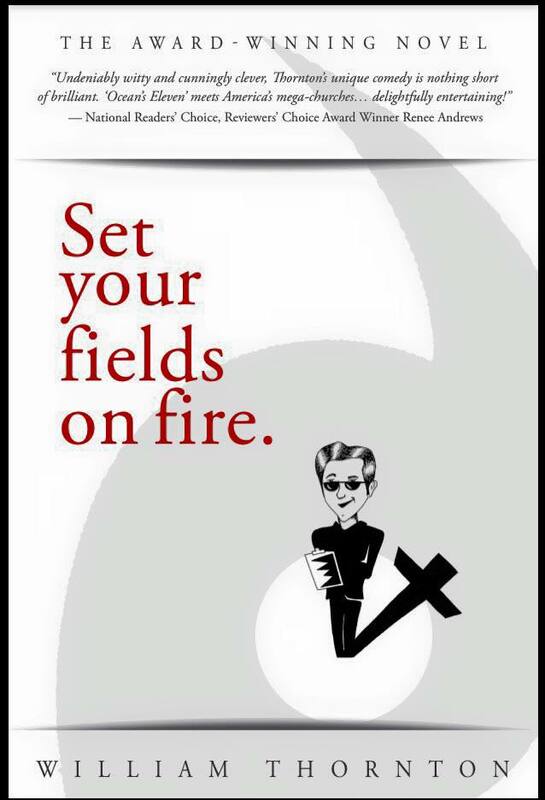 I'm a Southern Baptist deacon and the author of "Set Your Fields on Fire" - http://www.amazon.com/your-fields-fire-William-Thornton/dp/1512721964/ref=sr_1_1?s=books&ie=UTF8&qid=1452519478&sr=1-1&keywords=set+your+fields+on+fire+william+thornton. You would profit from buying and reading it, you know? I know I would. Email me at wthorn7@hotmail.com if you'd like.